Is Regal’s Popcorn The Most Popular? Why Is Regal’s Food So Expensive? There are a number of reasons people think the food prices are high at Regal – because they are. Don’t think Regal are going at it alone though. Just check out AMC’s popcorn prices and Cinemark’s concessions prices – both have quite high costs of snacks and good at their cinemas. There’s no denying the fact the popcorn, drinks, hot food, and desserts all come with a premium price tag at Regal’s concession stand. But why is this the case? Well, it all comes down to how movie theaters make their money. 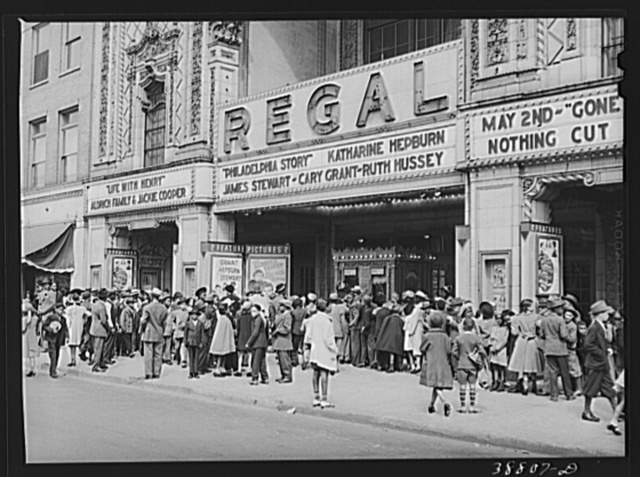 Traditionally, movie theaters have always made a low proportion of their total profit from ticket sales. This is because they have to pay the producers a very high amount to show their films. Cinemas try to pass on the cost as must as possible, but they can’t make the admission prices too high because then we’ll all just stop going to watch Netflix. Instead, they’ve chosen to find ways to make money in other areas of their business. And, sorry to say, but that means the price of their popcorn is likely going to stay where it is. We’ll just have to swallow our pride and face the fact that to swallow their popcorn, we’re going to have to pay the prices they’re asking. As well, it’s not only American cinemas with high popcorn prices. Hoyts’ popcorn prices in Australia, Odeon’s food prices in the UK, and Cineplex’s popcorn prices in Canada all have quite high costs for their snacks. In saying that, you’re more than welcome to say stuff that and bring in your own food. But just a heads up – if you’re too obvious about it, they’ll ask you to leave. Is There Anything More Popular Than Regal’s Popcorn? One word – nope. 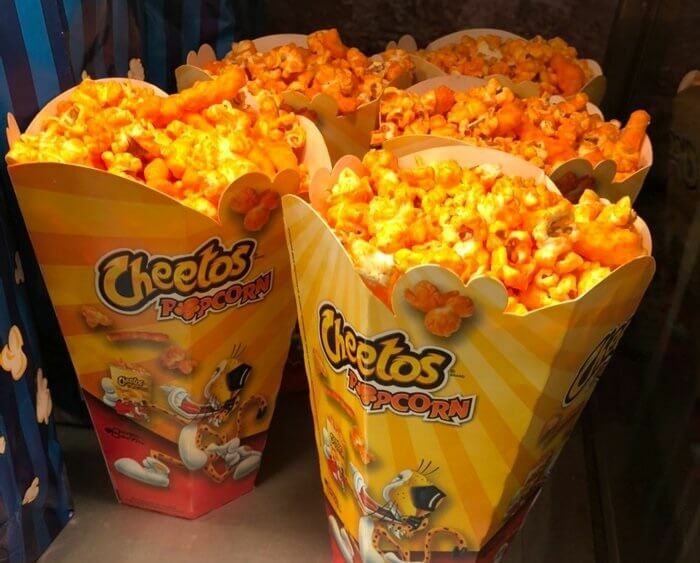 Regal has spent more than a bit of time perfecting the way their popcorn is not only made, but how it’s served, what type of flavouring goes on top, and the exact feeling you’re going to have when you take your first bite of the crunchy deliciousness (it’s a good one). Lol, you know it! 🙂 I just want to enjoy @RegalMovies popcorn (the BEST popcorn in the world) in the comfort of my own home! On top of their traditional butter flavoured popcorn, Regal has also experimented a bit (and will continue to do so) with other flavours such as Caramel and Zebra. Just because their popcorn’s a fan favorite, doesn’t mean there’s nothing else on their menu worth a mention. 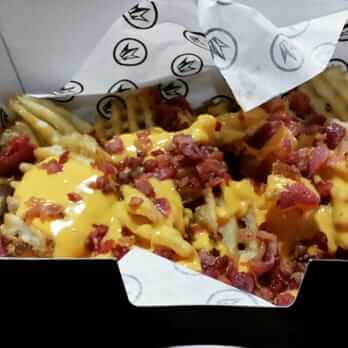 If you’re tired of tubs of popcorn all the time, give their Nachos or Loaded Fries a go. Both are great little sides to snack on whilst enjoying the latest blockbuster on the big screen. How Many Calories Are In Regal Popcorn? Their delicious snacks and popcorn come with a cost in addition to their price, and that’s a high calorie count. Regal’s small popcorn has 280 calories. Upgrade to a large and you’ll be consuming 840 calories along with your movie. If you’re on a diet or looking eat healthily, you’ll want to stay away from their concessions stand if you can help it. Unless it’s your cheat day! Then go all out and get everything you want. I couldn’t find any official nutritional and allergen info from Regal themselves on their website. However, the popcorn calories above were sourced directly from a menu in a Regal Cinema so they’re accurate. Good news – Yes! Regal’s popcorn is vegan. The popping oil, buttery topping, and popcorn salt are gluten free, dairy free, and 100% vegan. Hi there! We can confirm that our popping oil, buttery topping and popcorn salt are all dairy free, gluten free and vegan. Thanks! It’s a good move by Regal to offern vegan popcorn due to the massive rise in veganism and vegetarianism across the globe over the past decade. Is It Worth Getting Something From The Concessions Menu? There’s no denying the fact it’s unbelievably hard to walk past their concessions stand, grabbing a whiff of their heavenly popcorn being served up, and not immediately changing direction to grab a bucket of your own. In saying that, concessions aren’t for everyone. Regal’s popcorn prices are quite high, and even higher in calories. So they’re definitely not something you should be eating every day, but perfectly OK every now and then. You bet! Regal knows not all of us can afford the popcorn at their current prices, so they’ve been generous enough to consistently give out coupons and promos so you can save a bit of money. Don’t want to become a member? No worries 🙂 Download their app and they’ll send you a range of coupons for concessions as well. November 2018’s coupon was 15% off the combo – 2 Large Drinks, Large Popcorn, and Candy. Not bad at all! Want to learn more? Regal has a section dedicated to all the latest promotions on their website. Click here to see what they have. Regal Cinemas has quite an interesting history. Knoxville, Tennesee, was the first location in the US to have a Regal Cinema. That was in 1989 when Mike Campbell was their CEO. It grew rapidly over the following years thanks to their upmarket feel and an exclusive cafe that was attached to many of the theaters, which made them quite fancy compared to many of the competitors at the time. Over the next decade, they swallowed up many smaller chains such as Cobb Theatres and RC Theatres. Unfortunately, they went a bit too far and weren’t able to keep up. The company filed for Chapter 11 bankruptcy in 2001. Thankfully! They made sure it wasn’t the end by merging with Edwards Theaters and United Artists. Today, they have more than 570 theaters, have total revenue in the billions, and are a subsidiary of the Cineworld Group (one of Europe’s largest cinema groups). Just recently, in October 2018, Regal announced it will undergo a $1 billion rebrand across all of its cinemas. Aiming to bring the company into the 21st century with a sleek, minimal logo and conducting massive renovations across many of their locations. Social media not for you? Feel free to give them a call direct on 1-877-835-5734. Or, you can head to their contact page and give them some feedback or ask them a question. All in all, Regal is a great movie chain to watch the latest and greatest blockbusters at, and they’ve spent a bit of time perfecting their concessions menu as well. Yes, Regal’s popcorn and snack prices are a bit high, but it’s part of the movie experience and prices don’t seem to be changing any time soon. If you have any more questions about Regal or their prices and menu, let me know in the comments below. I wanted to bring attention to the spelling error for “Spicy Chicken Sandwich and Fies”. Have a nice day!